We all pay bills. Some of us have credit cards or loans, and others only pay for electricity and a cell phone. All of these bills have to be paid. Generally speaking, anyone to whom you pay a bill knows where to find you. If you don’t pay your bills, creditors will make efforts to collect what they are owed. A big part of that effort is reporting to the credit scoring agencies that you failed to pay. Here are answers to the top 10 questions Credit Sesame members ask about collection accounts. 1. How Do Collections Affect Your Credit Score? Collections have a negative effect on your credit score. The most recent two years are the most important where your credit score is concerned. The older a collection is, the less it hurts you. Collections remain on your credit report for seven years past the date of delinquency. In the newest versions of FICO® and VantageScore®, paid collections don’t hurt your score but unpaid collections do. When an account goes into collections, the number of points your score drops depends on dozens of factors unique to you. The higher your score, the more it can fall. A 90-day late account may swipe 50 points from someone with excellent credit but only 10 points from someone who was already in the lowest tier. 2. What Kinds of Debt are Sent to Collections? Generally speaking, unsecured debt like credit cards, student loans, medical bills, and personal loans will be sent to collections. Unpaid mortgages generally result in foreclosure. Unpaid car loans usually lead to repossession. In some states lenders may still pursue you for the balance between the amount a foreclosed home or repossessed car receives at auction and the balance of your loan, and that amount can be sent to collections as well. 3. When Do Collections Get Reported to the Credit Bureaus? Missed payments are first recorded on your credit report as “late payments,” and you will usually have the opportunity to bring your account back into good standing by catching up on your missed payments, as well as paying any penalties imposed by your lender. Many creditors do not consider a payment to be missed until 30 days beyond the due date. Watch out, though. You may be subject to a late fee on the first day after the due date. Each late payment is recorded on your credit report and immediately hurts your credit score. If you can’t bring your account back into good standing, it will eventually be sent to your lender’s internal collections department or sold to an outside collections agency. At that point, it’s recorded on your credit report as a collection. 4. How Long Before a Debt is Sent to Collections? Late accounts can be placed in collection status in as little as 30 days, or as long as 180 days, after you first miss a payment. At that point, the loan may be recorded on your credit reported as “charged off” by the original lender. That means the lender no longer expects to be able to collect on it. The charge off account should show up on your credit report as transferred/closed, with no balance owed. Charge offs, like other derogatory remarks, remain on your credit report for 7 years from the date of the charge off, although their effect on your credit score decreases over time. The lender or a collection agency will separately report the amount owed, plus any interest and fees, as a collection account. Even if the date on the collection account is the date it was acquired by the collection agency, by law it must be removed from your credit report seven years after the date of the original delinquency. 5. How long do collections affect your credit score? As soon as an account is reported as in collections to the credit bureaus, you’ll see an immediate drop in your credit score. Open collections make it difficult or impossible to receive additional credit. The latest versions of FICO® and VantageScore® exclude paid collections, but missed payments and any charge offs will still be reported as derogatory remarks. Unfortunately, your next lender might not use the latest FICO® or VantageScore®. It takes years for the latest credit score models to be fully adopted by lenders. Even after resolving an account in collections you still may face difficulty receiving additional credit from lenders who haven’t upgraded to the latest credit scoring models. 6. What Happens if a Medical Bill is Sent to Collections? With the latest VantageScore® and FICO® credit scoring models, unpaid medical collections don’t affect your credit score for 6 months. That’s to give you, your insurance company, and your medical provider an opportunity to work out who owes what to whom. Paid medical collections, like others, won’t count against your credit score in the latest scoring models. As noted in the previous section, the credit score your lender sees depends on the credit scoring model your lender has adopted, and if they’re using an older credit score model they may still see your credit score depressed by both medical and non-medical collections, whether or not they’ve been paid off. First, make sure the agency demanding payment has the legal right to collect on your debt. A single overdue account can be sold multiple times, and each sale has to be properly documented. You can verify whether the person contacting you really owns your debt by sending a debt validation letter to the agency that contacted you about the debt. Within 30 days of being contacted for the first time, send a letter via certified mail to the agency asking for the debt to be validated. In this letter, don’t acknowledge you owe the debt or agree to pay it. The burden is on the collections agency to prove the debt exists and that they have the right to collect on it. Until the debt is validated, the agency can’t contact you or try to collect on the debt. The Consumer Financial Protection Bureau has prepared sample letters you can use to ask for your debt to be validated. If the debt can’t be validated, you can write to all three credit bureaus telling them to remove the collection from your credit report. Second, assuming the debt is properly validated, you have 3 options. Option #1: If you have the resources to do so, you can pay off the debt in full and close the collection that way. Option #2: If you want to close the collection but can’t pay the full amount of the debt, you can write a letter offering to pay a smaller amount if the collection agency agrees to consider the debt satisfied and close the collection. Collection agencies purchase debt in bulk for less than face value — in the case of older debt that’s changed hands many times, for as little as pennies on the dollar. That means they can still make a decent return on their investment by accepting an offer below the face value of the debt but more than they themselves paid for it. 8. What Happens When You Don’t Pay Collections? Depending on the age of the debt, you can wait it out. Remember, the collection must be removed from your credit report seven years after the original date of delinquency. Removal from your credit report does not relieve you of your legal obligation to pay the debt. Unpaid debts, however, do not have to follow you to the grave. Many types of unpaid debts are subject to a statute of limitations. 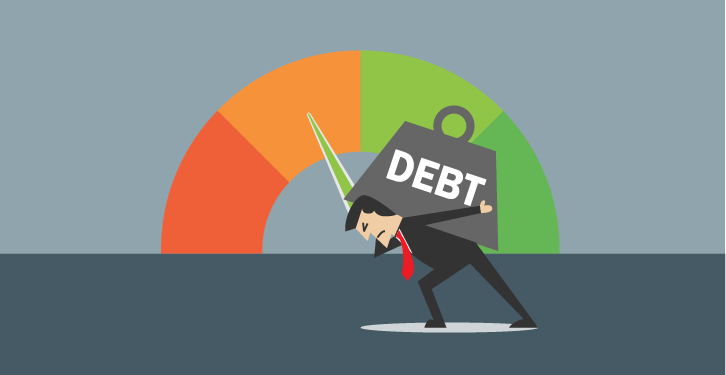 The statute of limitations is the period during which creditors are allowed to pursue legal action to collect on a debt, and it typically ranges from 3 to 6 years, although it can be longer in some states. The statute of limitations starts from the last payment or, in some states, from the date you promised to pay. That’s why it’s essential to never make a partial payment or promise to pay a debt except as part of an agreement with your creditors to resolve your debts unless you have every intention of seeing it through. Beware of collections agencies that try to trick you into making a small “good faith” payment. They want to restart the statute of limitations. Of course, as long as your debt is legally collectable, your creditors can file lawsuits and seek a legal judgment against you. The judgment has its own statute of limitations for collection. If you have been or are worried about being sued, consult a lawyer to discuss your options. 9. How do Collections Affect Your Other Accounts? Thanks to the CARD act passed by Congress and signed by President Obama in 2009, the abusive practice of “universal default” has been drastically limited. That means a lender with whom you have kept up on time payments can’t raise your interest rate or charge any additional fees or penalties if you go into default with a different lender. In other words, missing a payment with Citibank won’t raise the interest rate you pay to Bank of America, or cause your mortgage to go into foreclosure or get your car repossessed. However, banks and other lenders are free to lower your credit limits or close your account completely if they believe you have become less creditworthy, and you should prepare for that to happen soon after any of your existing debts are reported as being sent to collections. If you hold multiple accounts with the same lender, it can change the terms on your other accounts in response to a late payment or default on one. For example, the bank may impose a higher penalty APR on your on-time accounts if you fall behind on another account with the same institution. 10. 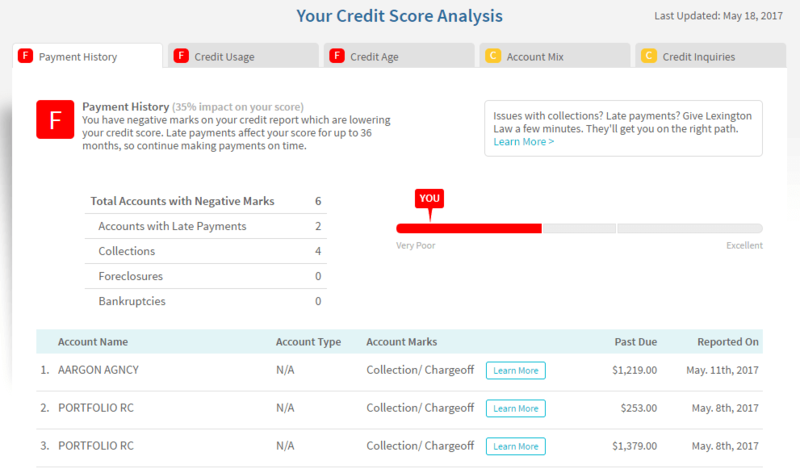 Can You Remove Collections from your Credit Report Early? Derogatory remarks like charge offs and collections are legally allowed to remain on your credit report for up to 7 years from the date of last activity. However, there’s no legal minimum time for debt to be reported, and some collections agencies have a policy of removing paid collections from borrowers’ credit reports. Others may be willing to request deletion as part of an agreement to pay a debt in full or in part. If you are negotiating with a debt collector about resolving a collection, be sure to ask if they will delete the collection from your credit reports as part of your settlement. A deleted collection is likely to have a positive effect on your credit score if it is the only derogatory remark on your credit report and is relatively recent. On the other hand, deleting a single collection is unlikely to have much of an effect if your credit report still has other collections, late payments, or other derogatory remarks, or if the collection is very old. Check your credit for free on Credit Sesame. On your account home page, you’ll see a letter grade for each of the major factors affecting your credit score. You can click the “View Details” link below the report card to see more information about each factor. If you do this under “Payment History,” you’ll see a list of your accounts with negative marks. You may need to view your credit report to find contact information for each creditor reporting a collection account. You can order one right from your Credit Sesame dashboard, or visit AnnualCreditReport.com for a free copy every 12 months from each of the major credit bureaus. What is the Minimum Credit Score Needed for an FHA Loan?